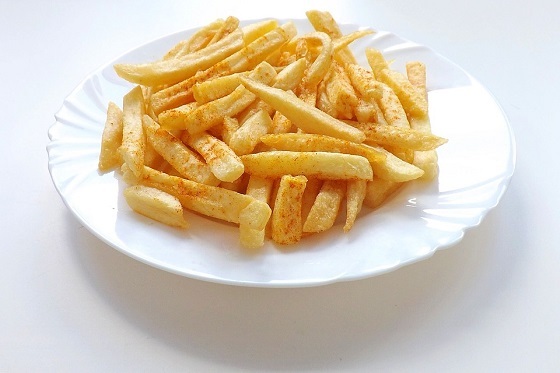 Well, they say you should learn something every day and I just learned that when you boil a potato for 3 minutes and transferring them to ice cold water is the secret for making crispy oven baked fries. And it’s nice to have the recipe for Seasoned garlic Parmesan fries. All you need is some potatoes sliced to the proper size, lightly oiled in order to help the dry seasoning stick. Just some finely grated parmesan cheese, kosher salt and garlic powder, and you’re on the way to making your family smile.